The Dalai Lama's announcement that he will formally relinquish his political role was a long-expected development that nevertheless muddies Tibetan affairs and poses fresh challenges for not just China but his long-time host, India. Speaking on the 52nd anniversary of the Tibetan uprising, the 76-year-old Dalai Lama told his flock that he would soon hand over his "formal authority" to a "freely elected leader". "As early as the 1960s, I have repeatedly stressed that Tibetans need a leader, elected freely by the Tibetan people, to whom I can devolve power. Now, we have clearly reached the time to put this into effect," he said. The announcement comes at a time of turmoil in the Arab world which piles pressure on China to loosen its grip on Tibet, and could complicate its negotiations with exiled Tibetans. Furthermore, the announcement comes as United States attitudes towards Tibet also appear to be shifting. The Obama administration was mindful of Chinese concerns about Tibet during its first two years, but latterly appears inclined to show some sympathy for the Dalai Lama. On February 24, US ambassador to India Timothy Roemer appeared at the inauguration of a new Tibetan Refugee Reception Centre in Dharamsala, the Himalayan hill town where the Dalai Lama has his monastery. Elections will soon be held to pick a new 'prime minister' who will be the likely new face of Tibetan exile politics since the Dalai Lama has chosen to stick to his religious duties alone. Of the three men in the fray, the top two candidates are said to be pro-US. The front runner, Dr Lobsang Sangay, is a visiting professor at Harvard University, where he earned his doctorate. Such factors provoke insecurity in Beijing, which frequently refers to the Dalai Lama as a 'splittist' and a 'wolf in monk's clothing'. On Thursday (March 10), China reiterated that it saw the exile government as an "illegal political organisation". The other two men are Lobsang Namgyel, from an aristocratic Tibetan family and who is also pro-US, and Tashi Wangdi, a veteran who ran the Dalai Lama's Bureau for several years and who is seen as having pro-European views. Tibetan exiles say the world is drawing unwarranted inferences about the Dalai Lama's motives. "This is a move by His Holiness to prepare Tibetans to handle their affairs strongly and firmly in the post-Dalai Lama era," says writer and activist Tenzin Tsundue. "China has always tended to focus its criticism on the person of His Holiness. 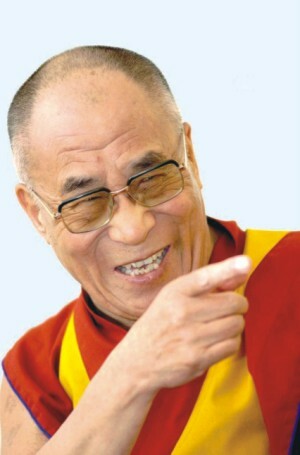 Now they will have to confront decisions made by a wider base of Tibetan people, and that will be less easy to attack." Another refugee, a 67-year-old resident of Dharamsala who asked not to be named, noted that the Dalai Lama has been saying for a while that he wants to focus on religion. "It is traditional for the great lamas to do a three-year retreat before they pass on," she pointed out. The Tibetan diaspora is spread around the world but centred in Dharamsala, where the Dalai Lama runs a "government-in-exile" complete with an elected Parliament, election commissioners and chief justices, all of whom he has the power to dismiss at will. These powers he now wants to give up, along with being the face of Tibetan resistance. Although India has hosted him since he fled Tibet in 1959, it formally does not recognise the government-in-exile, only acknowledging the "Dalai Lama's Bureau". But his presence in India has always been a key card for New Delhi as it confronts China's growing rise and assertiveness along their common border. This week's announcement could give New Delhi additional leverage, since it implies that the Tibetan question could linger on under new and younger leadership, long after the Dalai Lama's death. Indian foreign ministry spokesman Vishnu Prakash declined to comment on the developments, saying India continued to host the Dalai Lama because it regards him as a "deeply revered religious figure". But some analysts think New Delhi may not be displeased by the turn of events. 'India was instrumental in promoting democratisation in Nepal and Bhutan,' notes China specialist Srikanth Kondapalli of New Delhi's Jawaharlal Nehru University. 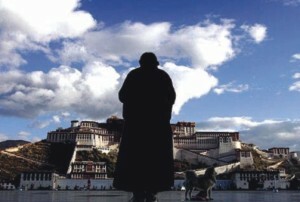 "It is surely aware that a democratic buffer in Tibet some day will not be a bad thing for itself." This article was first published in The Straits Times. Reprinted with permission.